Since quite a while now are ad budgets shifting from traditional media to social networking sites or 'social media', widely changing the media landscape. This shift obviously impacts media planning and strategy but I wonder about the future relevance for online-creatives like me, designers in particular? The recent buzz about Buzz overshadowed a much smaller but more intriguing conversation about a video-chat web site called ChatRoulette. It's really just a couple web cam windows on a page. But it's this simplicity that makes it attractive to users. It looks unpolished, unused and unadvertised. Especially the latter will earn trust from users (at least in the beginning). The design works very well. The fist point to make on social media's impact on design is that the purpose of networking sites is to micro target the audience exactly reflecting users' preferences and interests. Designs can implement these aspects i.e. 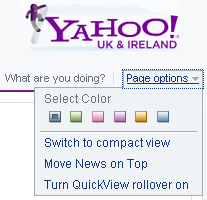 displaying a user's personalized colour and background preferences on a page (like on Twitter, BBC or Yahoo). This works well in branded environments. Interactive design that can be dynamically modified enhance the perception of taking a stake in the brand a user engages with. Secondly. 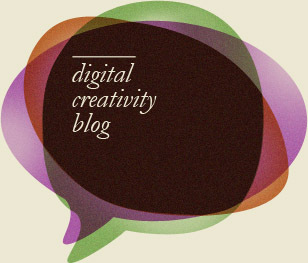 Technology is central to social media and its possibilities. Designers have to have at least a basic understanding of technological possibilities in order to implement them into a user-friendly user interface (i.e. the floating panels on Facebook where a user can move content as they wish). Coming back to ChatRoulette. My third and most important point is that social networking sites are experienced as private spaces by many users. Display advertisements very often look intrusive and aren't part of the dialogue. To be heard the advertiser should lead the dialogue. For design it means the LESS it looks like an ad (the more it blends in with the content), the higher the chances a user perceives it as part of that dialogue rather than a corporate message. BBH points out that trust in our online 'friends' is on decline and advertisers' revenues with it. Designers will have to address users' aspirations and wants very flexibly in future or else look for new jobs. 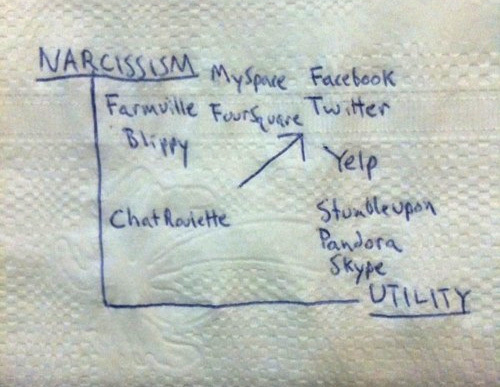 Social media will guide the way. I'd love to know your thoughts. Please leave a comment below.